We found the article below a few years ago. 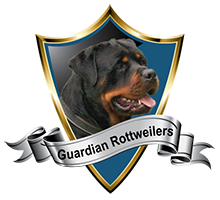 It echos our own thoughts about the rottweiler. While in every breed description there’s a degree of idealism and wishful thinking, the words ring true to us because we’ve known such dogs. Our experience has shown a caveat, in that puppies do not become such dogs on their own, they need to be monitored closely and guided/controlled. That however is a reality of living in a society where too many things are taboo for a dog, and consequences for mistakes can be severe. We believe it’s easier for a dog to develop the best character traits when raised in a more natural environment, where it’s free to act on its instincts and has more opportunities to learn from mistakes. The dog will then appear to have acquired the correct balance on its own. This is even more difficult to achieve living with rottweilers in sweltering Miami, as a larger portion of the dog’s life is spent inside the air conditioned home. But with some effort providing experiences outside the home, trainings and socialization, we believe the dog can be made to reach its full potential. To appreciate the breed you need to know something of it´s origin. It is useful to have some idea of how the dog developed and how its instincts and capacities were modified and adapted to carry out its working role. 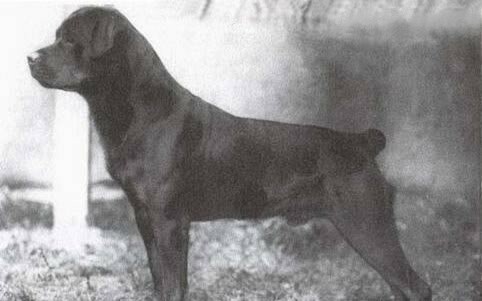 Below is the very first dog that impressed me in the history and some comments that old breeders have told. The great triple Sieger SchH2 Hackel v Köhlerwald passed on both looks and Character to his progeny, making him, possibly the breeds greatest sire. 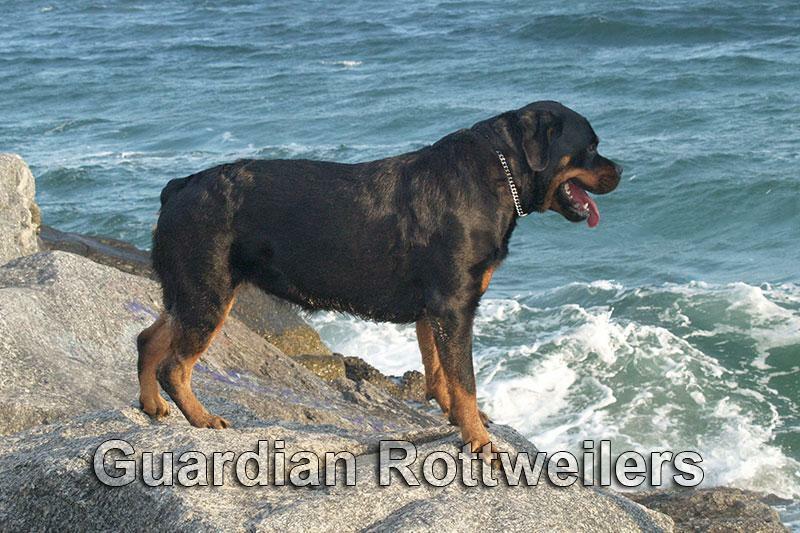 ( courtesy M Bruns.from he book of rottweilers ) Hackel sired eighty-two litters with 375 puppies being registered. He produced over 100 champions and the greatest of dog graded “excellent” both in work and show.